In this talk, Lama Jampa clarified the relationship between dharma and mindfulness on the basis of history and scriptural sources. Mindfulness of the body was thoroughly taught by the Buddha as the only path; protect it well through attentiveness. If your mindfulness deteriorates, you will lose the entire teachings. In the last few decades there has been an explosion of interest in the topic of mindfulness. Many organizations and systems of training, such as Mindfulness Based Stress Relief, have sprung up promoting its benefits and there are many thousands of mindfulness instructors. So, with some reason, one can talk about ‘The Mindfulness Movement’. Yet, despite Nagarjuna’s words, many involved are more or less ignorant of any connection between Buddhism and mindfulness. At the same time, many Buddhists believe that the current enthusiasm for mindfulness, even when it is presented in an entirely secular context, will attract people to the dharma. There are even some teachers from a Tibetan Buddhist background who present courses on mindfulness, although one might wonder what connection there might be between the tradition and the modern phenomenon of mindfulness. Buddhism is a tradition of spiritual practice that developed out of the teachings of the Indian prince known to history as the Buddha, the Awakened One, who lived in the 5th/4th centuries BCE. At that time Northern India was going through a period of rapid change and old certainties, whether philosophical or social, were breaking down. However, the heart of the Buddha’s teachings transcends culture and geography, which is why they still speak to us so strongly now. For Buddha the crucial issues to resolve were two-fold: What are the causes of suffering and how can we be liberated from suffering? Thus, in any attempt to comprehend the role of mindfulness in Buddhism, it would be wise to keep these concerns in mind. Furthermore, we should also remember that, according to Buddha, suffering is not merely something that exists within the span of a single lifetime but is something that has afflicted each of us from beginningless time. The ultimate source of suffering is actually our misunderstanding of the nature of the world. Not realising that all phenomena arise from causes and conditions, we project an illusory solidity on to all things and thus come to cling to a dualistic perception of the world in which the notions of self and other becomes entrenched. This causes us to be afflicted by disturbing emotions, such as desire, hatred and ignorance, which, in turn, give rise to actions. It is out of actions driven by the disturbing emotions that suffering comes into being, since they ensure that wherever and however we try to obtain happiness, we end up with suffering. So for Buddha the only complete way to end suffering is to replace ignorance, our failure to recognise the nature of reality, with wisdom. Understanding that suffering and happiness both arise from the mind, Buddha rejected the spiritual systems of the theists but, at the same time, he rejected the assertions of materialists who argued that the mind has no reality, that there are no past and future lives and that virtue has no consequences. Therefore he termed his system ‘the middle way’ that transcends the two extremes of theism and materialism . Although wisdom is crucial if we are to achieve liberation from suffering, that wisdom nevertheless cannot arise in the absence of ethical behaviour and meditation. Thus Buddha taught the three trainings - morality, meditation and wisdom – and this has become the common inheritance of all traditions of Buddhism . Finally, we should note that, within the vast array of teachings given by the Buddha, there are two distinct systems of practice – ‘the vehicle of the disciples ‘ and ‘the great vehicle’. Followers of the first emphasise the methods of achieving the cessation of one’s individual suffering in the attainment of Nirvana, while followers of the second strive to achieve the level of a Buddha in order to liberate all beings from suffering inherent in the cycle of birth and death. The genesis of the modern phenomenon that one might term ‘The Mindfulness Movement’ lies in Theravada, the form of Buddhism that has been prevalent in South East Asia from Sri Lanka, across Burma, Thailand, Cambodia and Laos . Despite the long and distinguished history of Theravada, it appears that, by the modern period, the practice of meditation was comparatively rare, outside of such locations as North East Thailand, where there was a continuing tradition of practice of calm-abiding and insight. However, in the mid-20th century there was something of a revival of meditation practice in Burma led by monks such as Mahasi Sayadaw (1904 – 1982), one of the greatest figures in 20th century Buddhism. The core form of meditation promoted in this revivalist movement was insight. By contrast, ‘calm -abiding’ was relatively de-emphasised. The movement’s key scriptural text was ‘ The Discourse on the Four Foundations of Mindfulness’. Drawing on this source, Mahasi Sayadaw and other leading teachers utilised the technique of mindfulness of breathing as the means to facilitate insight into ‘the three marks’ of impermanence, suffering and non-self. With the arising of this wisdom, the path to arhat-hood, one who had removed the obscuration of the disturbing emotions, could be traversed. This revival of meditation practice spread beyond the monastic community to draw in lay-people, who would attend short but intensive courses in this system. In fact, some scholars have argued that this lay involvement and the meditation revival itself may, at least partly, be understood as s response to colonialism and the subsequent denigration of traditional Burmese culture. Be that as it may, one should certainly note that, in Burma, this system of meditation was not disassociated from the other two Buddhist trainings, those of ethics and wisdom and its soteriology was that of classical Theravada. In any event this system of practice grew rapidly in popularity, attracting non-Burmese like the erudite German Theravadin monk, Nyanaponika (1901 - 1994). It was the latter figure who authored what is probably the most influential book on this system, ‘ The Heart of Buddhist Meditation’, published in 1962. There are two claims made in Nyanaponika’s book that one might consider as pointing forward to the principal theories of the modern mindfulness movement: Firstly that mindfulness is itself an entirely sufficient form of meditation and secondly that the meaning of mindfulness is bare attention. These two points would be crucial to the understanding of mindfulness within the modern mindfulness movement. Nonetheless, Nyanaponika was careful to situate mindfulness as a Buddhist practice. In the 1970 this system of meditation was brought to the USA by young Americans such as Jack Kornfeld (1946 - ) , a personal disciple of Mahasi Sayadaw, Joseph Goldstein (1944 - ) and Sharon Salzberg (1952 - ). These three teachers founded The Insight Meditation Society (IMS) in Massachussets. Many centres and groups sprung from the IMS, all of which have played a role in the dissemination of insight meditation and the promotion of mindfulness. It was with the work of the clinical psychologist Jon Kabat – Zinn (1944 - ) that mindfulness started to spread outside of a purely Buddhist arena. In his extraordinarily successful Mindfulness Based Stress Relief programmes and books such as ‘Full Catastrophe Living’ (1990 ) Kabat-Zinn recalibrated the meditation instructions that he had received at the IMS, stripping them of any Buddhist content and promoting them as entirely ‘scientific’ – a process which has continued apace. Now, as is evident from the plethora of books, programmes and training courses on offer both in Europe and North America, the contemporary Mindfulness Movement is an almost entirely secular enterprise. It is enthusiastically embraced by everyone from Google to the British National Health Service, neither of whom, it must be said, have evinced much interest in the Buddhist teachings of impermanence and emptiness. In other words, mindfulness, as it is now understood and practised by the vast majority of its adherents, makes little or no reference to Buddhism, its views, ethics or goals. Indeed, it is advertised as appropriate to anyone of any religious or philosophical background whatsoever. It is, as one source avers: ‘...a technique which can help people manage their mental health or simply gain more enjoyment from life’. It would be true to say that there is little in such a description of mindfulness that is consonant with the Buddha’s tradition but there is a considerable amount that is reminiscent of the grand American traditions of therapy and self-help. Someone might object at this juncture that Buddha himself would sometimes give instructions to people who were not aiming at transcendental goals but merely wished to acquire a state of happiness within the world. One’s answer to this would be that, for those who wished merely to gain such happiness, Buddha did not prescribe meditation but counselled the practice of virtuous deeds. In other words, he taught them ethical behaviour, the first of the three trainings. Obviously, such training involves an acceptance of the teaching of karma and a specifically Buddhist understanding of ethics. Neither of these are present in secular mindfulness. Again, some might object that traditionally some may have practised calm-abiding meditation without having transcendental goals in mind. Here one can readily concede that it is taught that for those who aimed at rebirth in the divine realms after death this may be achieved through the practice of calm-abiding meditation. However, not only does the modern Mindfulness Movement eschew any reference to future lives and rebirth, its mindfulness practice has little connection to the practice of calm-abiding that might lead to such rebirth. Although it may be surprising to some, ‘The Discourse on the Foundations of Mindfulness’, the scriptural source that is the foundational text for the Mindfulness Movement, does not exist in Tibetan Buddhism. There is a Discourse of a similar name in the Tibetan scriptural collection but its contents are quite different. Thus, while it might be argued that the Mindfulness Movement has, at least, some scriptural foundation in Theravada, it clearly does not possess any comparable roots in Tibetan Buddhism. At this point, one might also note, that the recent but still relatively rare phenomenon of a few Tibetan Buddhist teachers giving instruction on the four foundations of mindfulness involves them relying upon textual sources and system of practice that are not found in their own spiritual training. So, turning now to how mindfulness is to be understood in our tradition: The definition of mindfulness shared by the Sakya, Kagyu, Nyingma and Geluk schools is found in the portion of the Abhidharma that deals with mind and mental states. There mindfulness is located amongst the cluster of five mental factors knows as ‘factors that determine objects’, which themselves are counted among the fifty one mental factors that form part of the fourth aggregate. Mindfulness is defined specifically as the faculty that prevents our mind from forgetting an object, which makes it clear that mindfulness is a form of memory. Mindfulness means not forgetting a known object. Its function is to prevent distraction. Mindfulness is then best understood as a form of recollection. There is no reference in this definition to it being as a self-sufficient meditation technique or a form of bare attention. Rather, as the earlier passage from Nagarjuna suggested, it is a mental faculty which helps us to engage with the teachings and retain those teachings. Having defined mindfulness, we can now survey its applications. One can discern three major functions of mindfulness : as a general guardian of one’s dharma practice, as remedy to difficulties in meditation and as quality arising on the path. Should very attentively guard their minds. Will steal even the merit I have gathered. It is necessary that, by possessing mindfulness, clear comprehension and concern, one’s three gates are not obscured by defects. Rely upon mindfulness and clear comprehension throughout the four modes of conduct. 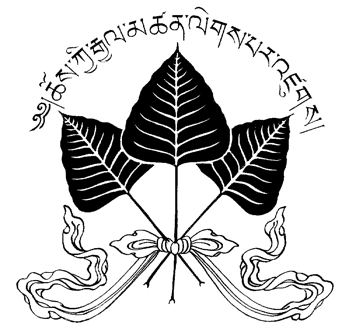 Secondly, in the practice of calm-abiding, mindfulness and its related faculty of clear comprehension play important roles as two of the designated ‘eight remedies’ for the ‘five obstacles’, as detailed, for instance, by Ngorchen Konchog Lhundrup in his ‘Beautiful Ornament of the Three Visions’. In this respect, an initial problem that obstructs meditation might be forgetfulness of the object of one’s meditation, whether it be a visual object such as a buddha image or a blue flower or any other type of object such as counting and flowing the flow of the breath. Mindfulness is the remedy to this because it recollects the object and allows us to place one’s mind back on that object. Later on, one might encounter the obstacles of ‘sinking’ and ‘scattering’: ‘sinking’ is a heaviness and drowsiness of mind in which attention on the object becomes very dull, and ‘scattering’ in which one’s mind is unable to settle on the object. It is mindfulness that notices when either of these two conditions have arisen in meditation and allows one to apply the appropriate remedies. In the Vajrayana system of meditation there is also a role for mindfulness. Thus, when the experience of emptiness arises in an incomplete or misunderstood way, problems can arise for the meditator. However, as Lama Dampa Sonam Gyaltsen explains in his commentary on the Vajra Verses of the Precious Word, the meditator can dissolve any such turbulence by mindfulness of the identity of his own body and that of the yidam deity. Thus, in both the sutra and mantra systems of meditation, mindfulness is treated as a valuable resource to remedy difficulties but, in no sense, as a stand-alone practice. Thirdly, mindfulness arises as a quality on the five paths to enlightenment. Thus on the first path, that of accumulation, twelve ‘wings of enlightenment’ arise in three sets. The first set of four ‘wings’ are the four foundations of mindfulness - mindfulness of body, sensations, of mind and mental objects. On the second path, that of application, mindfulness arises again, initially as one of the five faculties that allow one to hold one’s mind on the object of practice, and, secondly, as one of the five powers where it ensures that the mind never departs from the object. During the third path, that of ‘vision’, one experiences the unmediated true nature of reality for the first time. Mindfulness is a constituent of that experience as one ‘of the seven limbs of enlightenment’. As such, this mindfulness is a quality belonging exclusively to a ‘noble one’, one who cannot fall backwards in samsara, since they have decisively severed the manifest forms of the two obscurations of disturbing emotions and knowledge. Finally, on the fifth path, that of ‘no more to learn’, the eight aspects of the noble path to enlightenment are fully perfected; mindfulness is the seventh of these aspects, all of which are only fully perfected by a noble one who has reached the end of the path. Thus, one can see here that mindfulness in the context of the five paths is not treated as a meditation technique but as a quality arising through our deepening engagement with the dharma. It is easy to see the great difference between such an understanding of mindfulness and how it is presented in the contemporary Mindfulness Movement. These short notes clarifying the relationship between dharma and mindfulness on the basis of history and scriptural sources have been drawn from a lecture given at the request of the Bodhi Path centre in Valencia in February 2018. The talk was transcribed by Tabitha Taylor.